Green Empire, one of the last horses racing with links to Bart Cummings, will step out at Doomben. A regime of water aerobics has veteran Green Empire ready to revive memories of the legendary trainer Bart Cummings at Doomben. Green Empire is one of the last horses still racing originally trained by Cummings who died in 2015. 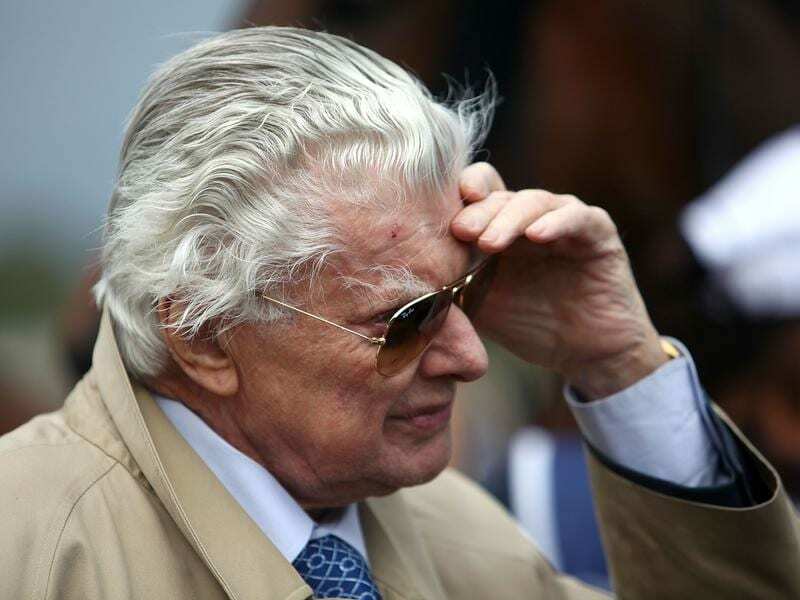 The gelding won two races for Cummings when he trained in a partnership with his grandson James who is now Godolphin’s head Australian trainer. Central Queensland trainer Tom Button bought Green Empire for $12,500 and the now nine-year-old has since won seven races for him. Green Empire was third in the Country Challenge final at Doomben in December but after the gelding was well beaten at Eagle Farm last month Button decided to leave him in Brisbane with Lauren Herne. “Tommy felt at his age Green Empire needed to do beach work and it is a three-hour round trip for him to get to a beach,” Herne said. “So he left him with us and Green Empire seems to be relishing the trips to the water. “I suppose you could say it is a form of water aerobics. Green Empire should have nearly won his first start for us at Ballina when he got shuffled too far back early,” she said. Herne entered Green Empire for the Open Handicap and a 1600m-benchmark race at Doomben on Saturday and went with the easier race. “He has a big weight in the benchmark race but we will claim with Clayton Gallagher. He should run well,” she said.